That’s right. 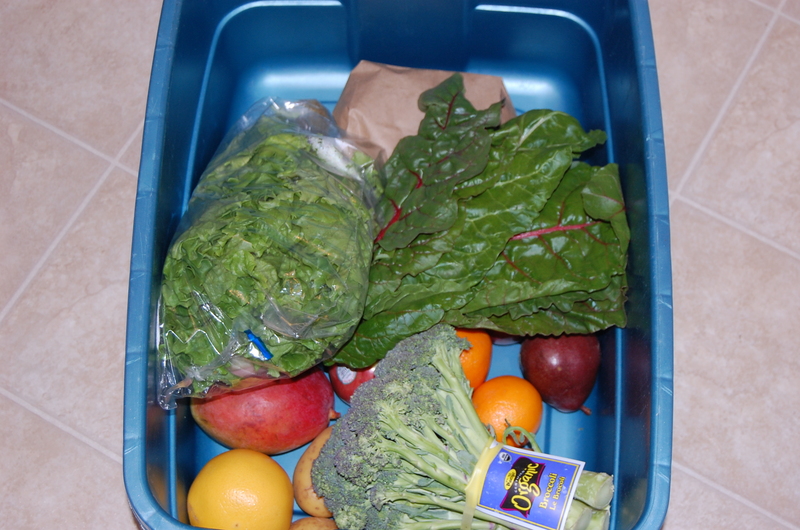 Organic, local focused fresh fruits and veggies DELIVERED to my door weekly. Fresh Option wants to simplify your options for accessing a sustainable food system. We gather for you foods you can trust and feel good about. Organic, local, fair trade, and vegetarian: whole fresh foods produced by real people we know on Manitoban small-scale farms when possible. It’s easy and fun. I can see what I’m getting for the week online on Friday and it’s delivered Tue nights. It has helped to break our food rut as we don’t pick and choose what we get each week (although we could if we wanted too). So far new things I’ve tried and have never bought on my own are kale, rainbow chard, and this week fiddle-heads. It’s also brought me back to things I like but never bought (for some unknown reason, likely habit) such as oranges, apples and pears. The variety is nice and the convenience can’t be beat. We can even cancel the weeks we’re away and get large orders when we’re having company. Cool! I’ve always wondered about those services….there are a few around here. If only I could find the time to cook regularly:) Maybe once I’m on mat leave! Fun! 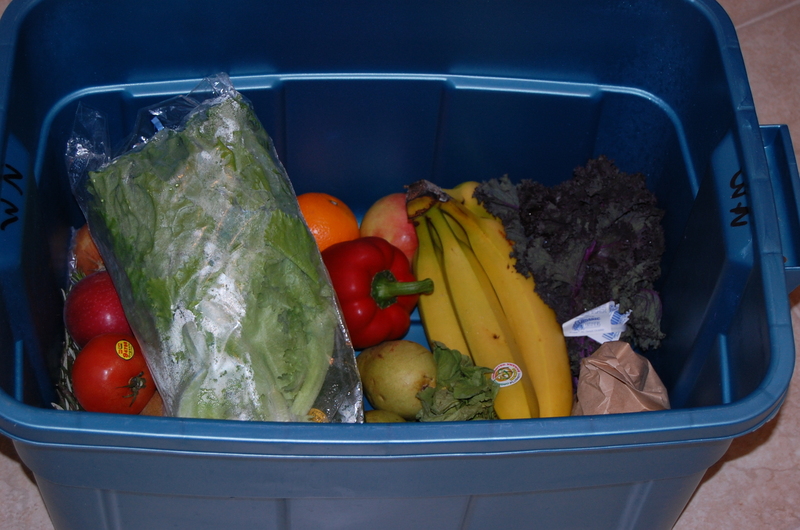 We just signed up a for CSA (Community Shared Agriculture) here in Cold Lake foe the summer. You pay up front ($365 for 10 weeks of food = $36.50/wk). That way the consumers share in the “risk” with the farmer. That amount is for a small box plus larger share of strawberries when they are in season. We have to pick up at the farm on Monday nights, but since I’m on MATA leave, that shouldn’t be an issue. I’m really excited about it since we so miss the farmer’s market and Siefert’s in Comox!! There is a market here, but things get sold out super super quickly since we’re not exactly in a prime area for growing fresh produce! I’m curious about how you prepared the fiddle heads? ?